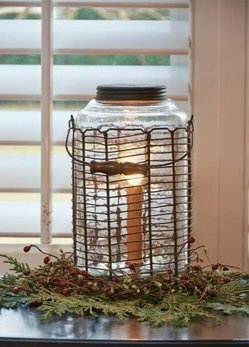 This Wire Jar Lamp is a perfect accent. 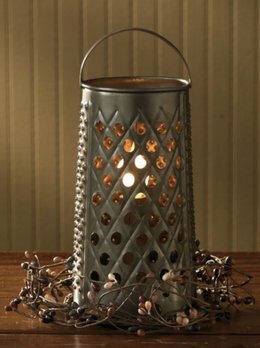 The lamp is inspired by a vintage glass oil container with its unique cage style carrier, faithfully re-interpreted in look and finish. You'll love this lamp's glow, perfect where you need a finishing touch. The beauty of Early American & Colonial lighting is captured in the Chesapeake Mini-Table Lamp. 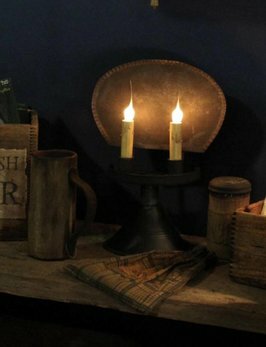 Made for historic American home decor, handcrafted to detail for authenticity this lamp is made with 2 lights, 40 watts per socket in the USA. If you love Early American & Colonial lighting reproductions the Weston XL 26" Table Lamp will be a favorite. 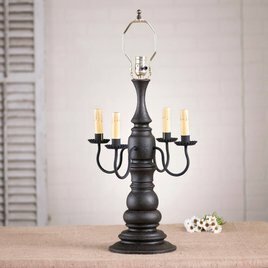 Made for historic American home decor, handcrafted to detail for authenticity this lamp is made with 4 lights, 40 watts per socket in the USA. A larger version of our ever popular Cedar Creek Lamp Base, the Bradford Lamp Base is proportioned for a large room with overstuffed furniture or high ceilings. The Bradford Lamp Base is brimming with country charm.